Another favorite color for decorating a wedding is the elegant and distinguished brown, in the shade you choose, this usually remains fairly well with any other color on and that makes it contrast. If you decide that this is the characteristic color of your big day, then you should choose the right cake or wedding cake,so we present below some beautiful and interesting ideas of brown cakes. This first model of wedding cake four floors, features brown ribbons at the base of each and a nice bouquet of flowers, coffee tones that runs vertically through the cake. 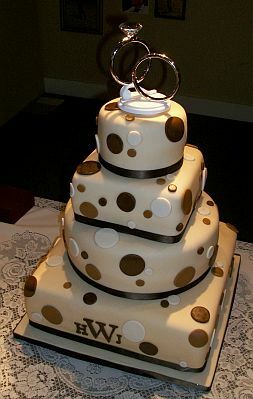 If you prefer a cake more casual weddings and need speckled Here is an excellent model of three floors, decorated with ribbons and brown circles, for added color, the top has a bouquet that highlights the color in green. 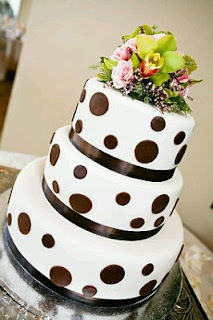 And to prove that a wedding cake decorated in shades of brown spots, can also be very chic, here's a good example. 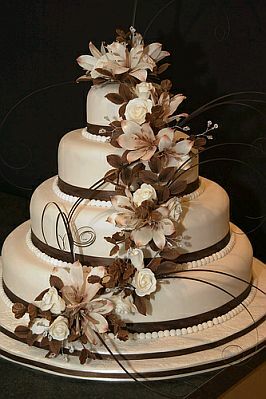 Elegant wedding cake four floors, decorated entirely with cover and chocolate brown ribbons in shades lighter, at the top a bouquet of elegant calla lilies, complements the cake. 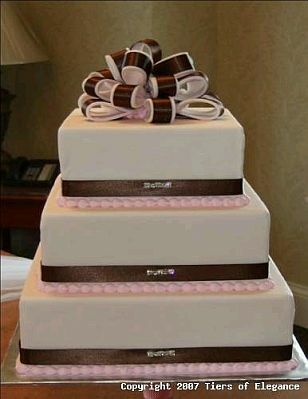 But if in addition to brown, you think to use pink in decorating your wedding, here's a cake that looks good, decorated in pink and dark brown ribbons. 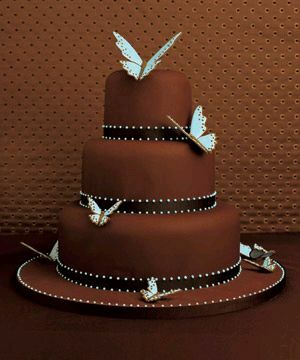 Here's another cute model three-floor cake with chocolate icing and ribbons of dark brown at the base of each, stylized butterflies adorn this unique cake. 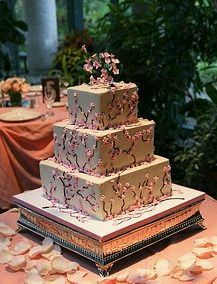 If you want to give that touch of oriental decoration to your wedding, this is the perfect cake, this is a cute wedding cake with three-floor, cover with light brown and cherry blossoms across the surface. 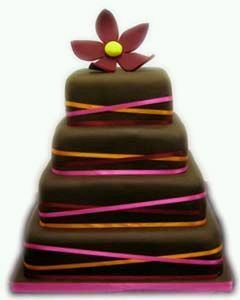 Cheerful and colorful wedding cake, four floors, decorated with ribbons of yellow and brown, fuchsia. 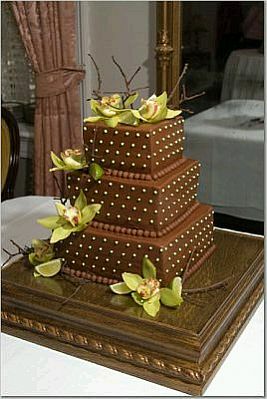 Original wedding cake, three floors, covered in chocolate and decorated with small green circles, also has green flowers in various sectors of the cake. 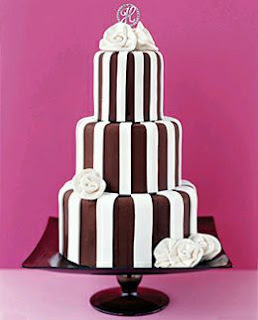 Finally, an elegant and stylish wedding cake model, previously covered in chocolate and thick white lines. 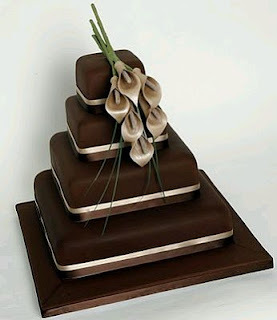 I hope you have enjoyed these models.